The secluded Wyoming guest ranch Brooks Lake Lodge & Spa has announced a memorable late summer fly fishing getaway for guests, August 23 – September 13, 2017. 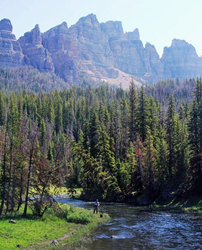 The four-night package includes a specially priced guided backcountry fishing adventure in national forest streams, rivers and lakes, a spa treatment, luxurious Brooks Lake lodging and gourmet meals at the exclusive, all-inclusive mountain resort near Yellowstone National Park. Guests of Brooks Lake Lodge & Spa enjoy premier fishing in Wyoming backcountry with the new “Frequent Fly-ers” fly fishing adventure, offered Aug. 23 – Sept. 15, 2017. Tom Brokaw once said, “If fishing is religion, fly fishing is high church.”Brooks Lake Lodge & Spa near Dubois, Wyoming, seconds the idea. 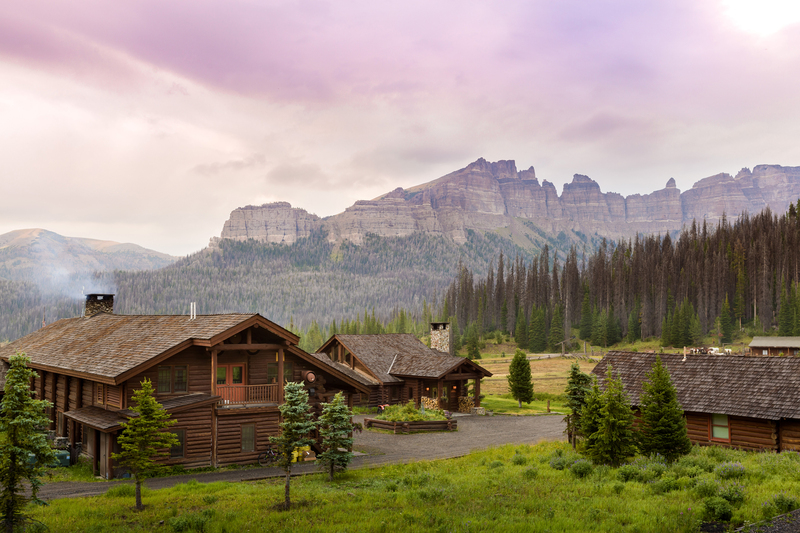 The luxury historical guest ranch located deep in the Shoshone National Forest is pure heaven for fishing enthusiasts with its remote location and rivers and lakes teeming with wild trout. To heighten the Brooks Lake fishing experience for guests, the lodge is offering a specially priced four-night Frequent Fly-ers package, Aug. 23, 2017 – Sept. 13, 2017. 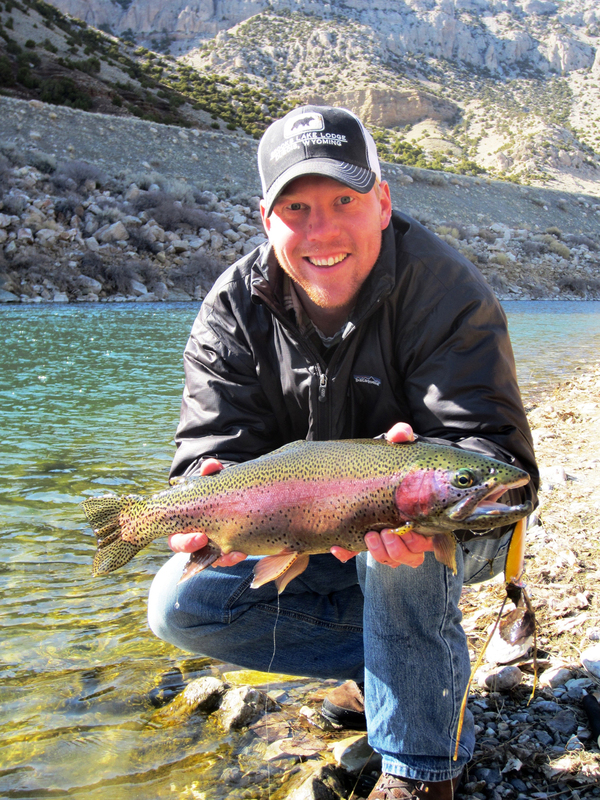 The wild Wyoming fishing getaway includes a guided backcountry fishing adventure, fishing license and a spa treatment for relaxing back at the lodge, in addition to lodging and meals. 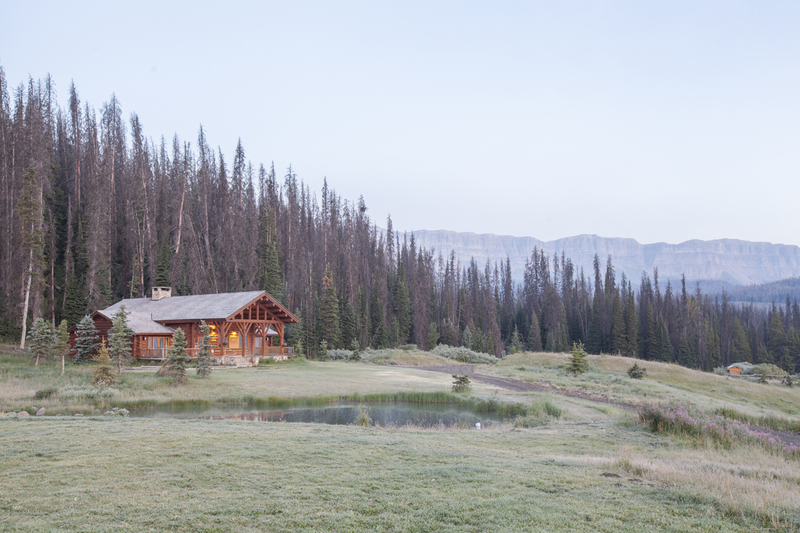 Brooks Lake Lodge & Spa’s new “Frequent Fly-ers” package treats each guest to four nights’ lodging and three days’ fishing on the rivers and lakes surrounding the lodge. The discounted package pricing also includes a fishing license per guest, the use of fly and spin rods and an experienced guide for all levels of fishing styles, plus one treatment per guest at the on-site Rocky Mountain Spa, where guests can enjoy deep tissue or hot stone massages or facials. A soak in the 11-by-17-foot hot tub overlooking the Pinnacle Buttes provides another memorable après-fishing experience. Price for the all-inclusive package is $2,260 per person (double occupancy) and also includes meals, tax and service fees. In addition to fishing, the lodge’s all-inclusive plan offers a selection of outdoor activities such as hiking, canoeing, horseback riding and archery. Guests can both recharge and unwind at the lodge as they enjoy the variety of gourmet offerings in the dining hall and later belly up to the Cowboy Bar for a fine selection of spirits, wines and beer. 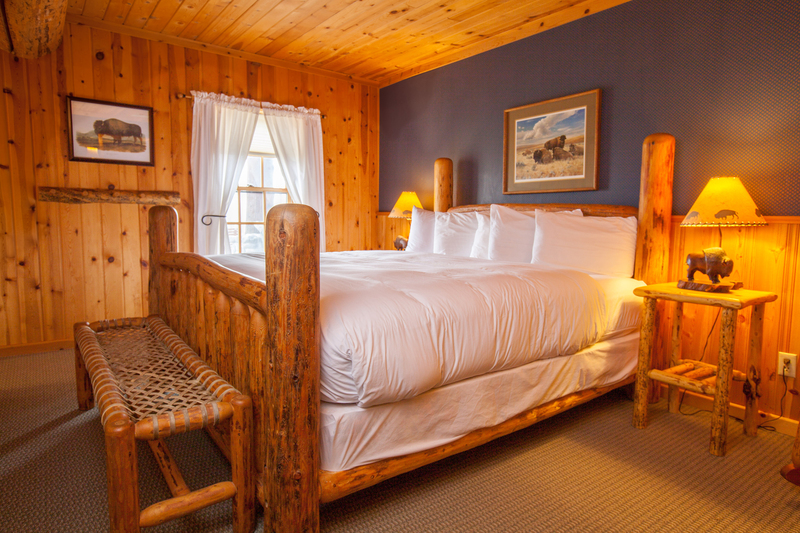 And the plush beds in the suites and cabins combined with quiet Wyoming nights make for wonderfully restful evenings. The historical Brooks Lake Lodge & Spa, recently called a “hidden gem” and Western Landmark lodge by Western Art & Architecture magazine, is backcountry fishing heaven for vacationers. As an avid fisherman, Brooks Lake Lodge’s GM Adam Long loves to hear guest’s fishing stories and created the “Frequent Fly-ers” package to take advantage of the special outdoor sporting experience. Brooks Lake Lodge features luxurious Western Craftsman-style suites and cabins complete with spa robes, goose down comforters and comfy beds for a quiet night’s rest following outdoor adventures. The Rocky Mountain Spa, a full service facility onsite at Brooks Lake Lodge, offers each “Frequent Fly-er” guest a spa treatment as a part of the late summer fly fishing package.